October 9, 2018 | 6:30 p.m. — 8:30 p.m.
A New York Times Critics' Pick and multi-award winning film, The Peacemaker is an intimate portrait of Padraig O’Malley, an international peacemaker who helps make peace for others but struggles to find it for himself. The film takes us from Padraig's isolated life in Cambridge, Massachusetts to some of the most dangerous crisis zones on Earth – from Northern Ireland to Kosovo, Nigeria to Iraq – as he works a peacemaking model based on his recovery from addiction. We meet Padraig in the third act of his life in a race against time to find some kind of salvation for both the world and himself. Post-screening interview with James Demo by Joshua Weiss, PhD, Bay Path University. Since commencing work on The Peacemaker, he has pitched the film at the IFP Spotlight on Documentaries (Sept 2012), The Points North Forum at the Camden International Film Festival (Sept 2012) and the Hot Docs Forum in Toronto (May 2013). Demo is a Sundance Institute Documentary Fellow, a Film Independent Documentary Fellow, a Tribeca Film Institute/A&E IndieFilms StoryLab Fellow. The Peacemaker is supported by the Garrett Scott Documentary Development Grant, The LEF Foundation, and Sundance Documentary Film Program. 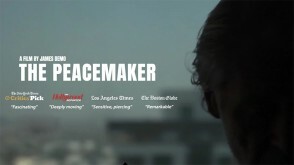 The Peacemaker has screened at top doc festivals including Full Frame Documentary Film Festival, Hot Docs Canadian International Documentary Festival, DOC NYC, and Sheffeld DocFest. As space is limited, registration is strongly recommended. 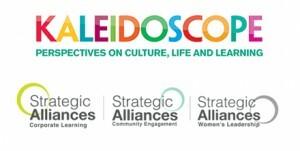 Co-sponsored by Bay Path University’s MS in Leadership & Negotiation Program, The World Affairs Council of Western Mass, The Springfield Public Forum and Temple Beth-El.